* I asked the winner from Week 1 of the National Peanut Month Giveaway what he thought of PBB. This is his unedited response. For more reviews of PBB, check out the new Customer Review section at the PBB Store. Hello Peanut Butter Boy Blog fans. My name is Tracy, and I was the lucky winner of the Week 1 Giveaway. Within just a couple of days of the announcement being made, 2 jars of the all-new Peanut Butter Boy peanut butter arrived on my doorstep. This made me very excited because as you can see, I am more than just your average nut butter fan! I wasted no time sampling both the “Super Smooth” and “Crunch Power” varieties. I was VERY impressed with all aspects of these nut butters. Read on for my review. TEXTURE – The first thing I noticed was the unique texture/consistency of this peanut butter. Outside of homemade, it is probably the most “natural” looking nut butter I have seen. If you’ve ever made your own nut butters, you know the consistency that I’m talking about. This peanut butter has that homemade consistency, but at the same time, it is still easily spreadable. Two thumbs up! TASTE – Peanut Butter Boy got this just right also. Whatever type of peanuts and roasting process is being used really brings out the flavor, and both varieties have the perfect amount of salt. Super Smooth – As a pre or post workout snack, I like to have a tortilla wrap with peanut butter, fruit and some granola. The “Super Smooth” variety works great for this because it’s easily spreadable, and the rich nutty flavor blends perfectly with the sweetness of the fruit. Two of my favorite wraps using this peanut butter are strawberry + banana and pumpkin + dates. Crunch Power – I start each morning with a bowl of steel cut oats mixed with fruit and nut butter. The “Crunch Power” variety is perfect for this because it is “crunchier” than any other peanut butter I have tried. It is filled with really nice sized chunks of peanuts still intact which gives a great crunch factor to the oatmeal. Two of my favorite concoctions using this peanut butter are apple + raisin and blueberry + banana. As you can see, I was highly impressed with all aspects of the Peanut Butter Boy peanut butter. Kudos to Peanut Butter Boy for taking something he’s very passionate and knowledgeable about and launching his own product. I would not hesitate to recommend it to anyone who considers themselves a PB fan. 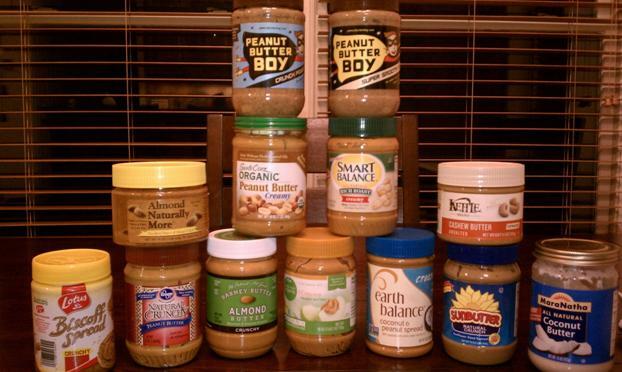 Have any other readers tried our peanut butter? We’d love to hear your feedback – what are your thoughts? Nice Review!!!! And I agree wholeheartedly! Looks like a great review. I haven’t tried your pb yet but I’ve heard it’s really good! Sounds like Tracy knows his way down the nut butter aisle. I’m always looking for the best PB so I’ll give both varieties a try.